A group of young girls possesses a mysterious power known as “Alice’s Dream,” which gives them the ability to turn their thoughts into reality. Detained and experimented upon, these youths are locked away in secret until one of them manages to escape. Her name is Sana—a girl with the power to ignore the very laws of physics. 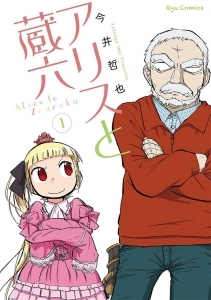 When this willful powerhouse crosses paths with a stubborn old man named Zouroku, his carefully-ordered life will never be the same again! A thrilling supernatural manga series with an anime adaptation coming in 2017!